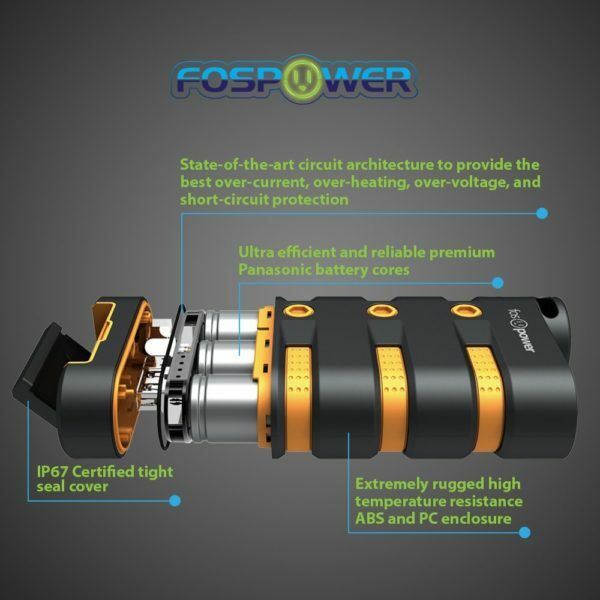 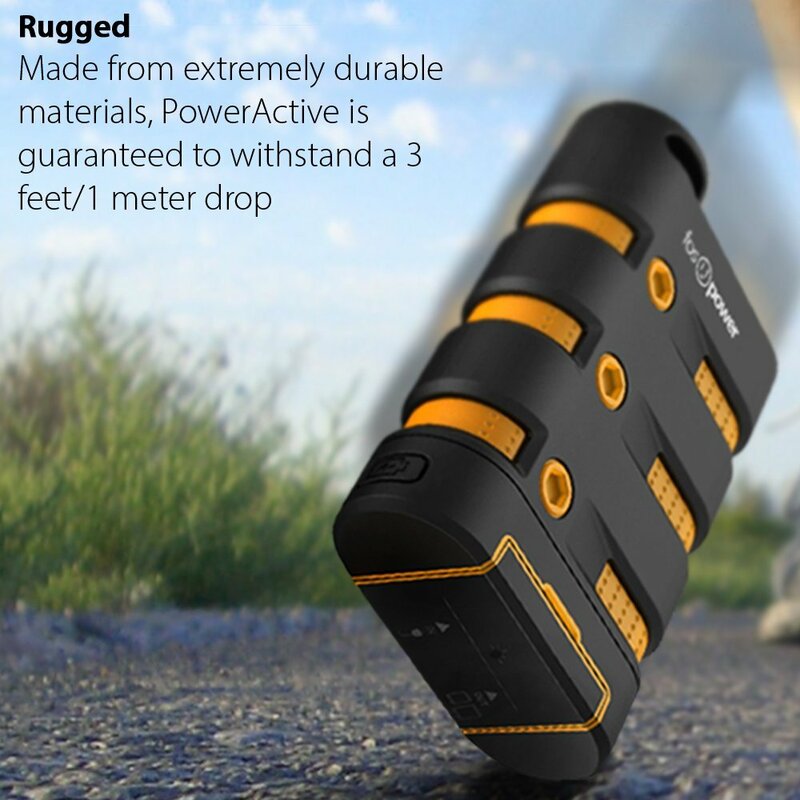 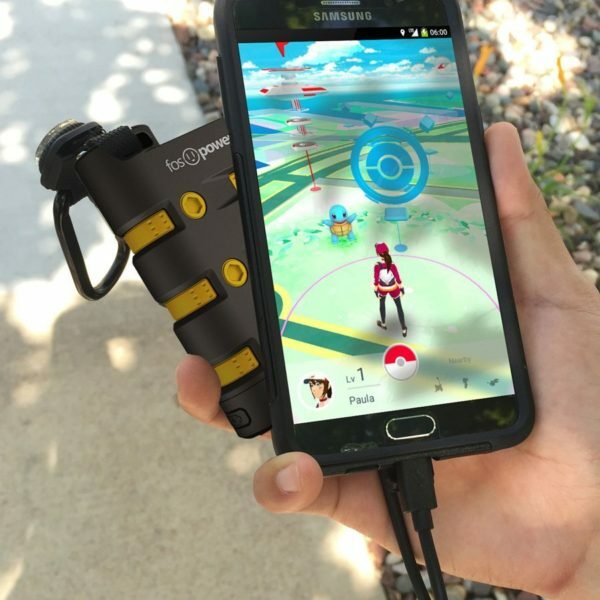 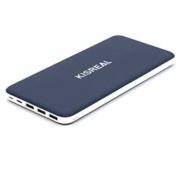 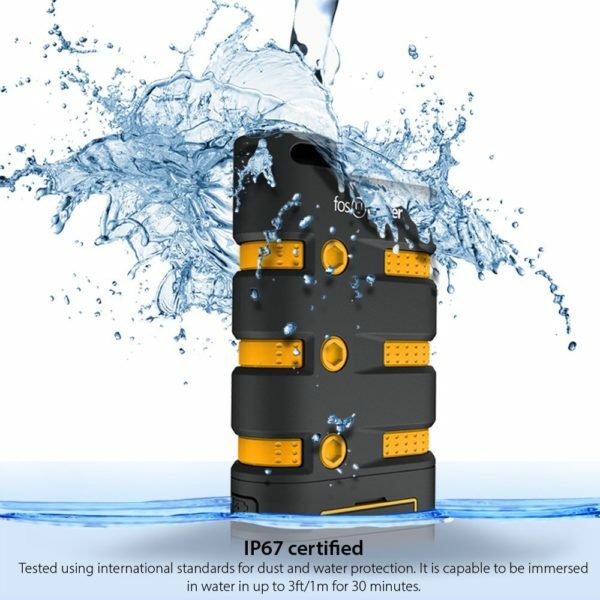 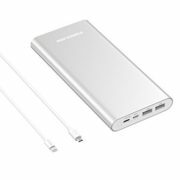 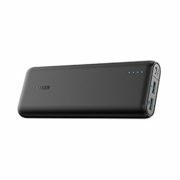 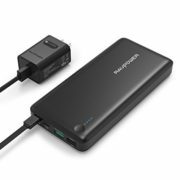 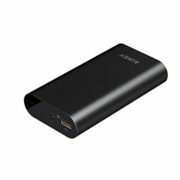 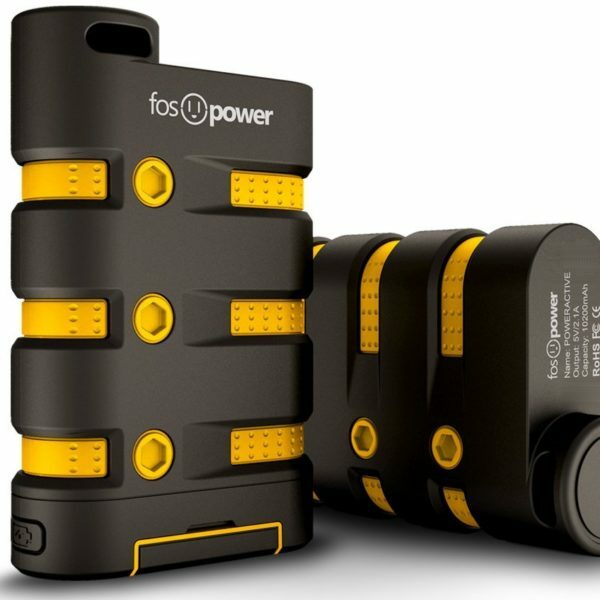 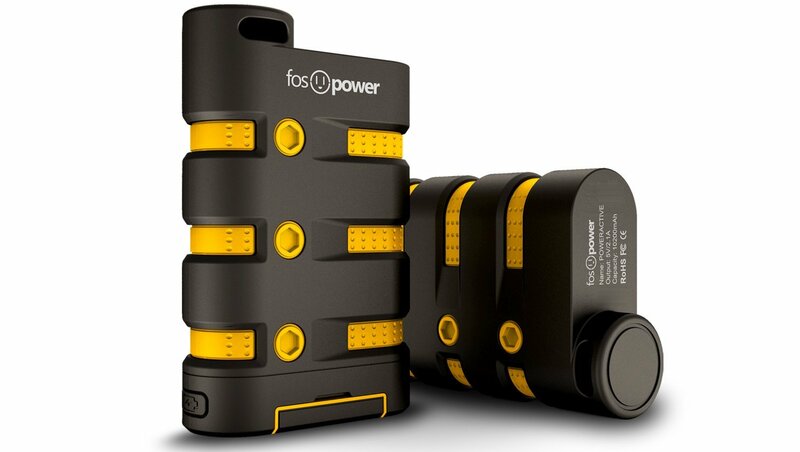 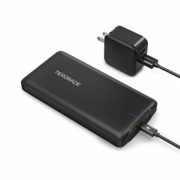 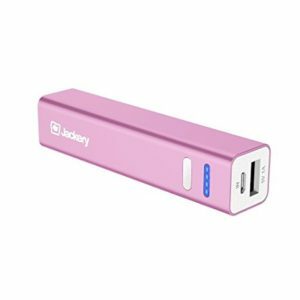 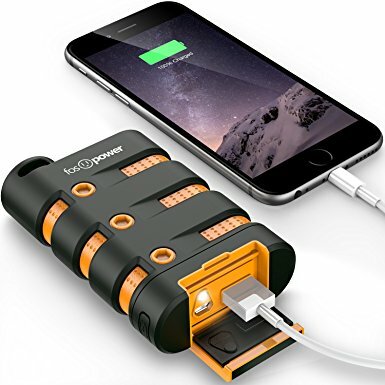 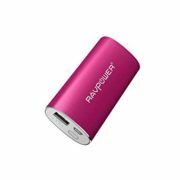 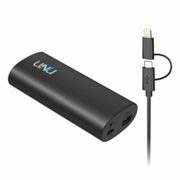 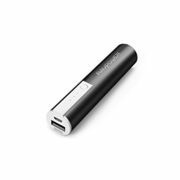 Rugged high capacity 10200mAh power bank (2.1A Power Output) that is perfect for smartphones, tablets and portable electronic devices Tough and sturdy: Designed to be snow proof, dirt proof, drop proof and water proof. 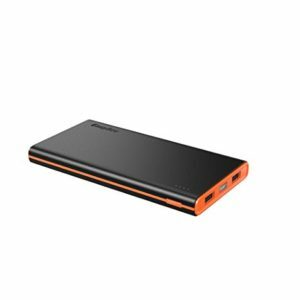 Built-in short-circuit, over-charge, and over-heat protection. 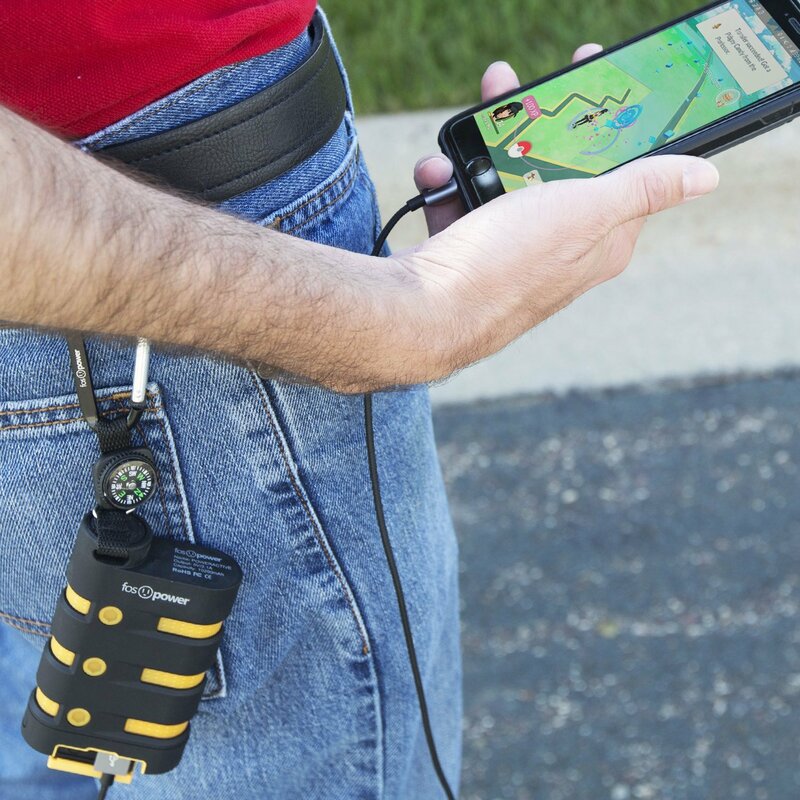 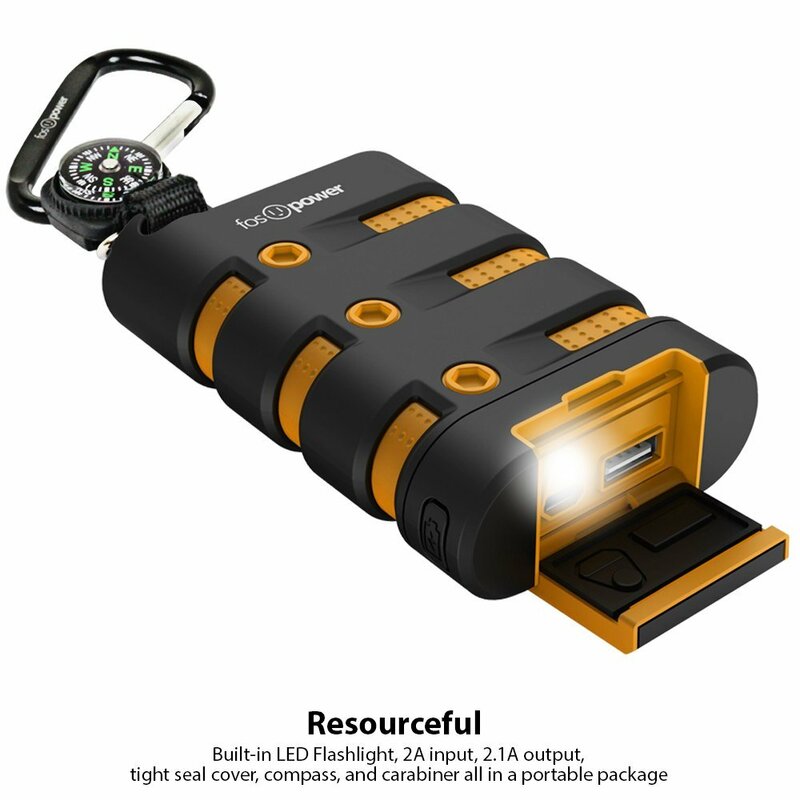 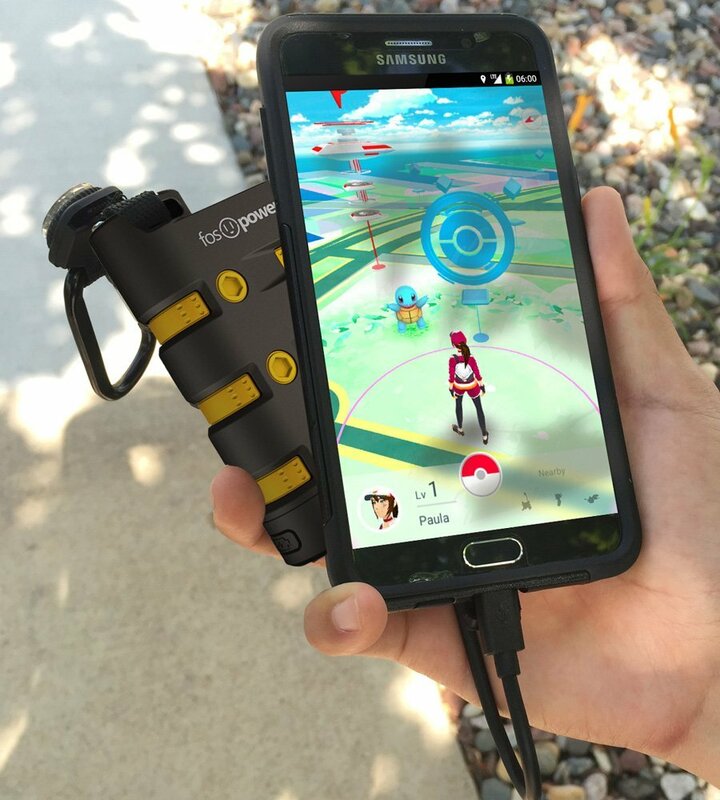 Comes with LED flashlight, compass, and a Carabiner IP67 certified: dust and water resistance for up to 3ft/1m for 30 minutes under water. 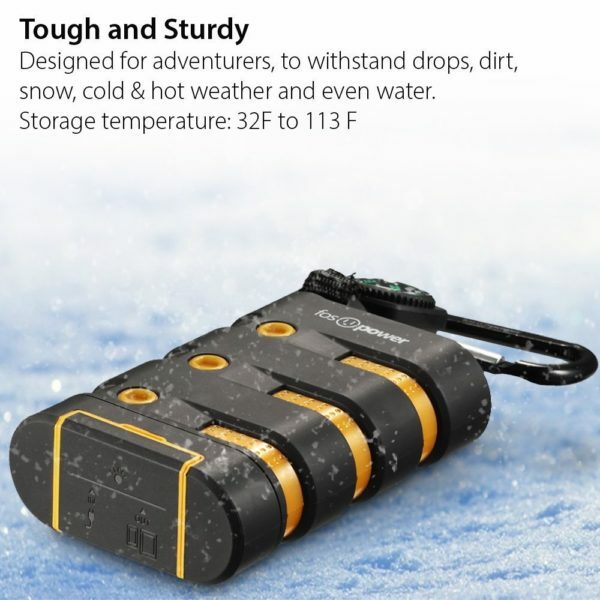 Storage temperature: 32F to 113F, Input: 5V / 2A Output: 5V / 2.1A Dimension: 3.98 x 2.54 x 1.06in, Weight: 7.76oz.